Product description: Small & compact cleaning & protection kit for all precious & delicate leather handbags, clothes & purses. 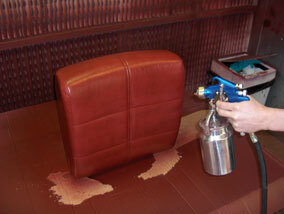 Prolong the life of your most prized possessions with this cost effective leather cleaning and protection kit. Ideal for cleaning and protecting any leather handbag (except Suede or NuBuck). Supplies enough product to clean and protect a leather handbag for up to 2 years. 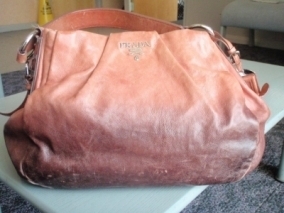 Cost effective alternative to replacing a handbag or getting a professional clean. The kit contains specially developed versions of our Leather Care Products that we have used & perfected over the years in our Handbag Spa, where we clean handbags for some of the World's most prestigious brands. The Leather Care Kit for handbags has been designed to clean, nourish and protect all items of soft and delicate leathers that are used on luxurious items of clothing, footwear, handbags & luggage throughout the world. 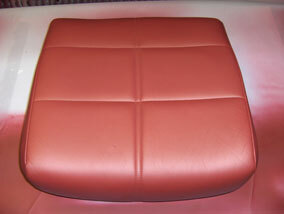 The kit can be used on all items of leather except Suede & NuBuck. 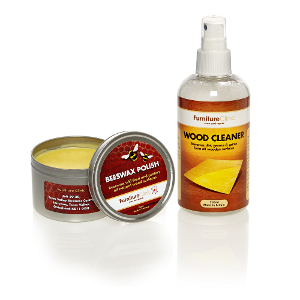 For these, you should use our Suede & NuBuck Handbag Care Kit. 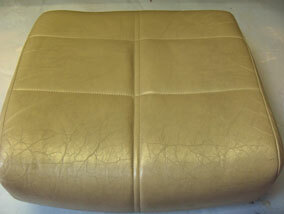 Clean & protect an average sized leather handbag 6-7 times! The Kit should be stored in a cool dry place and has a shelf life of years.We recommend using the kit to thoroughly clean & protect your handbag once every three months, doing this your kit should last you around 2 years! This bag was badly stained with water marks and dye transfer. We were able to remove these using the Handbag Leather Ultra Clean and then protected the leather afterwards to help reduce this type of staining in the future. 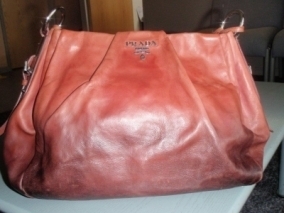 This Prada handbag was two tone in colour and had become dull, faded and dirty. 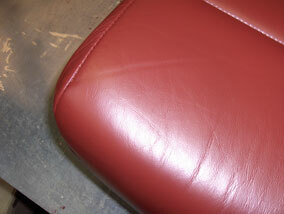 The leather was cleaned and the protection cream was applied to restore the lustre to the leather. 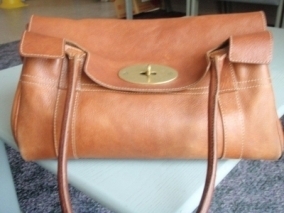 This Mulberry bag had become dirty and grubby through everyday use. 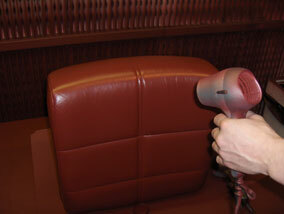 The bag was thoroughly cleaned and protected from future staining with the products in the Leather Handbag Care Kit. The results speak for themselves! The kit comes with leather cleaner and leather protector. If your handbag or leather item is brand new or un used, the first thing you should do is apply a coat of the Leather Protection Cream. This will build up the protection on the bag to help reduce soiling & staining caused by every day use such as rain, spills and wear & tear. 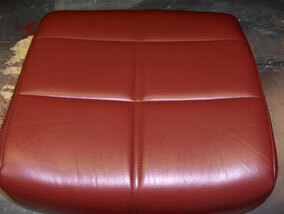 Then, every three months, wipe the leather down with the Leather Ultra Clean to remove the build up of dirt and re-apply the Protection Cream. Can I use the Leather Handbag Care Kit on any leather handbag? 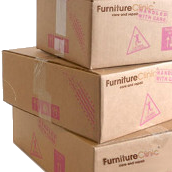 The products in the kit are safe and effective when used on all leathers, even delicates and exotics such as snakeskin etc., aside from Suede or NuBuck. If your handbag is made out of either of these two types of leather please use our Suede & NuBuck handbag care kit. 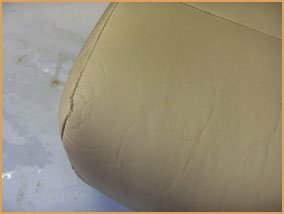 Will the products in the kit dry out/stiffen or damage the colour of my leather? 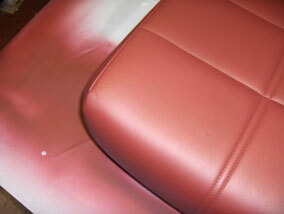 No, the products in the kit contain no abrasives or solvents that would damage, dry out or fade your leather. 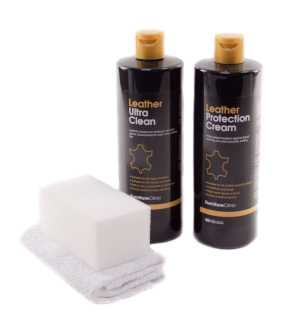 In the majority of cases the products actually have the opposite effect, the cleaner removing dirt that discolours the bag and the natural oils in the protection cream working to enhance the feel and appearance of the leather, while protecting it from dirt and staining. What do the products in the Kit actually do? 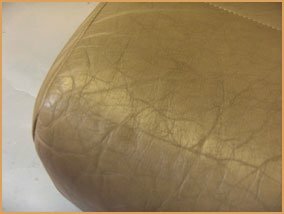 The Leather Ultra Clean for Handbags is designed to get rid of dirt, grime and light staining from leather handbags that can occur during every day use. 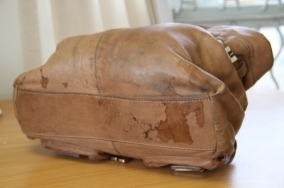 The Leather Protection Cream for Handbags is then used to provide a strong, yet invisible, barrier on the surface of the leather that is dirt and water resistant, effectively repelling stains and holding spills on the surface. This prevents any spills or marks from being absorbed into the leather and allows them to be simply wiped away with a touch of the Leather Ultra Clean for Handbags. Essentially it is an all in one kit for cleaning, protecting and maintaining your favourite leather handbags! 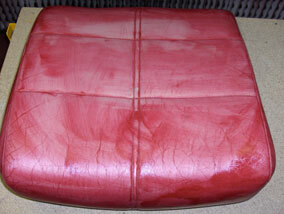 I want to have my handbag professionally repaired/cleaned/restored do you offer this service? Yes of course, our Handbag Spa repairs, restores and cleans handbags for some of the most influential and prestigious fashion designers and brands in the world. 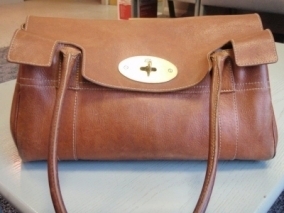 We also offer the same level of service to the general public, If you wish to send your handbag in or enquire about the service/get a quote, please contact us via this page or give us a call on 0844 879 3691 and one of our representatives will be happy to provide you with everything you need. 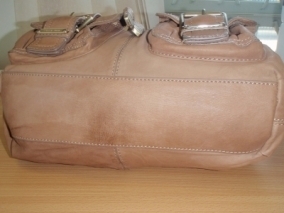 I have a number of leather handbags, how many bags will one Leather Handbag Care Kit clean and protect? One kit is typically enough to clean and protect a single, average sized handbag, approximately 8 times. 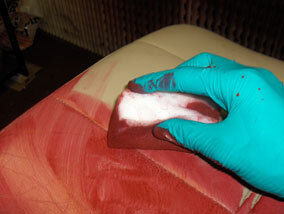 If this is carried out every three months as is recommended, this will cover one handbag for around 2 years. If once kit is used for two bags then it would last approximately 1 year and so on. 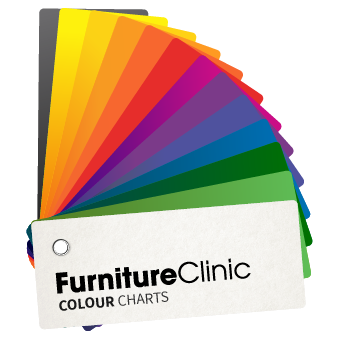 By purchasing one kit for every bag you wish to clean, protect and maintain, you can ensure they are completely protected from staining and dirt free for 2 years providing excellent value for money.